Of Pink Bats, Pink Ribbons and Pink Bows….. Yesterday at Fenway Park, the Red Sox won their third straight game against the Cleveland Indians. The bats of Jarrod Saltalamacchia, Daniel Nava and Will Middlebrooks, led the offense while Daniel Bard had one of his better outings of the season. The result was a 12-1 thumping of the Tribe. 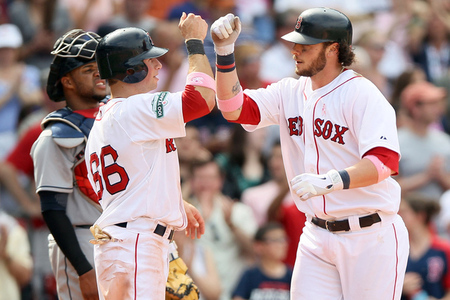 Daniel Nava (L) and Jarrod Saltalamacchia bang pink arm bands following “Salty’s” sixth inning homer. Nava was 2-3 with three RBI while Saltalamacchia went 3-4 knocking in five. 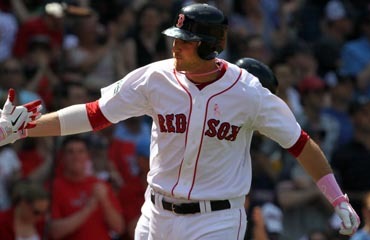 Will Middlebrooks went 2-3 with two RBI of his own, including his fourth homer of the year, a solo shot in the third. Yesterday’s game marked the 42nd time that Fenway Park and the Red Sox hosted the Mother’s Day game and it was their fifth Fenway Mother’s Day win in a row. Some interesting Mother’s Day tid bits. The Red Sox are 24-18 on Mother’s Day at Fenway. On the road they are 27-44 on Mother’s Day. There have been 11 Mother’s Day doubleheaders, seven on the road and four at Fenway. Only three of them were splits, all on the road. The Sox swept four on the road and were swept three times at Fenway. 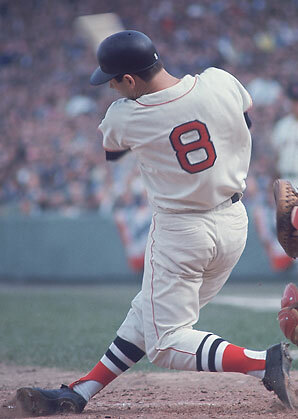 The only Mother’s Day doubleheader sweep at Fenway Park came in 1967 when the Sox beat the Tigers twice 8-5 and 13-9. Yaz homered in both games of the 1967 Mother’s Day doubleheader at Fenway Park, once of Denny McClain and once of Mickey Lolich. Since Mother’s Day became official in 1914, there has only been 10 years when the Red Sox have not played on Mom’s special day, eight because there was no Sunday baseball allowed at Fenway and twice the game was rained out. There have been five Fenway Mother’s Day shutouts, the Red Sox have won three of them. 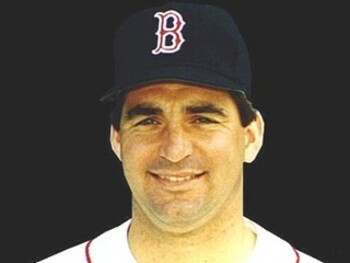 Jack Wilson pitched seven seasons for the Red Sox and was only 67-67 with a 4.44 ERA. 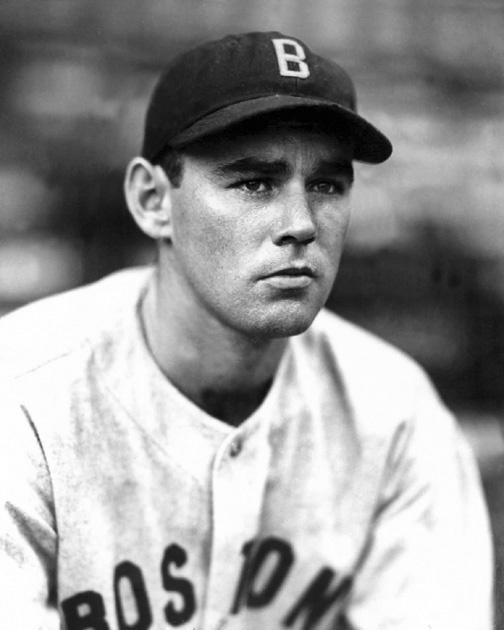 However on Mother’s Day 1938 he outdueled Hall of Fame pitcher Bob Feller beating him and his Cleveland teammates 5-0. He struck out a career high 12 Indians. Bruce Hurst pitched the last Mother’s Day shutout at Fenway Park, a 7-0 win against the Angels. 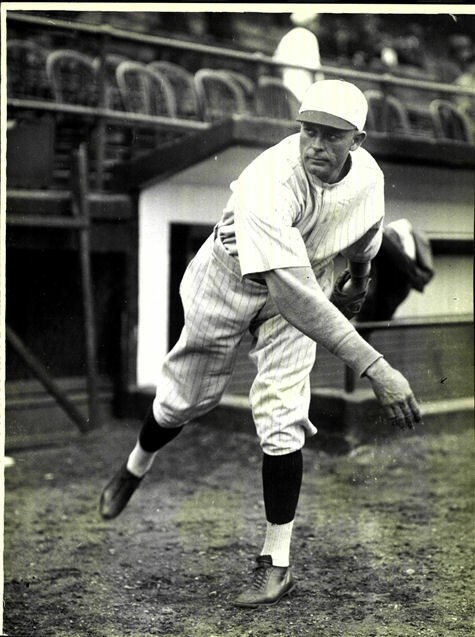 Ed Morris pitched the first ever Fenway Park Mother’s Day game on May 11, 1930. A complete game 2-1 win over the St. Louis Browns. He allowed two hits, walked seven and struck out nine. 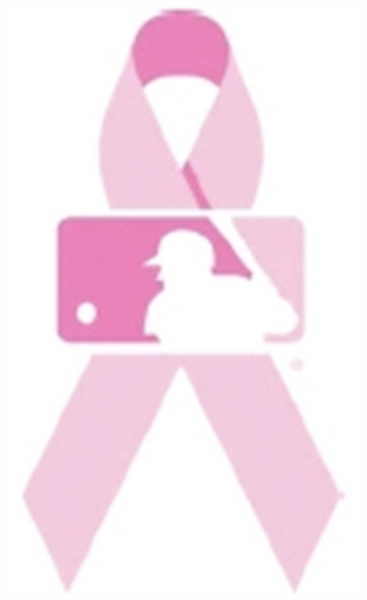 In 2006 Major League Baseball officially added the color pink to their games played on Mother’s Day. Working with the Susan B Komen for the Cure Foundation, they have done so to raise breast cancer awareness. The Red Sox were rained out of their Mother’s Day game in 2006 but the next year they were adorned in pink trappings. 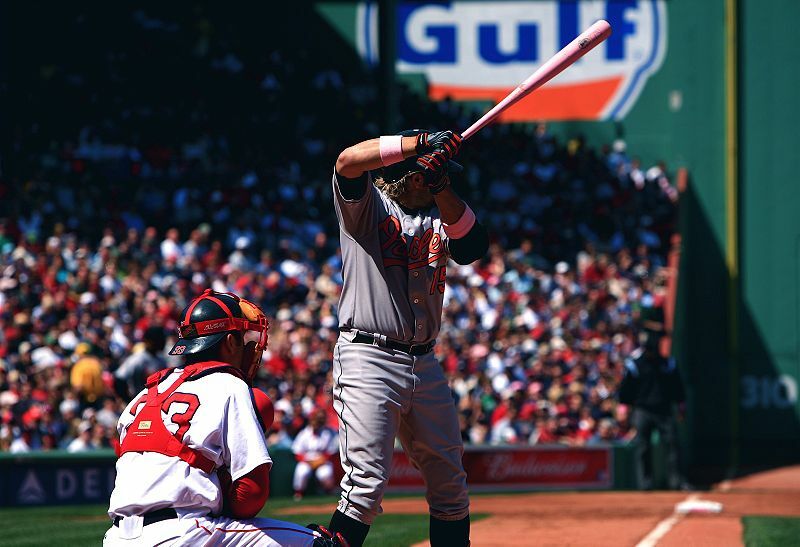 Kevin Millar, wielding a pink bat, steps in against his old mates at Fenway Park on Mother’s Day 2007. Since the Red Sox have worn pink on Mother’s Day they are 5-1 and 5-0 at Fenway Park. Hmmmm, maybe they should work pink in more often. The Red Sox won their third straight at Fenway Park yesterday. Nothing like Mama’s cooking! And so it is on this day in Fenway Park history, Mother’s day 2012. This entry was posted in Fenway Park Baseball, Fenway Park Other and tagged Bruce Hurst, Carl Yastrzemski, Daniel Nava, Ed Morris, Fenway Park, Jack Wilson, Jarrod Saltalamacchia, Kevin Millar, Mother's Day, Red Sox, Will Middlebrooks, Yaz. Bookmark the permalink. 1 Response to Of Pink Bats, Pink Ribbons and Pink Bows…..